Home > Learning Center > Energy Efficiency > How Do I Shop for an Energy-Efficient Air Conditioner? How Do I Shop for an Energy-Efficient Air Conditioner? Your air conditioner has one job: remove warm, humid air and replace it with cool, dry air. Yet, though the relief from the heat is always welcome, so are savings on your energy bills. Since cooling your home chews up 13 percent of a household's energy costs, it's important you find every possible opportunity to save. 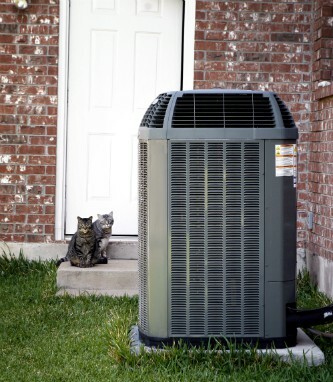 We recommend installing an energy-efficient air conditioner in your home! Doing so can help you lower your cooling costs by 20-40 percent compared to conventional models, according to Energy.gov. Though these models may cost more, you'll more than recoup the costs over the life of the appliance. To start conserving while staying cool, here are three things to know before you start to shop. You want the right machine for the job, but you definitely don't want to overspend if you don't have to. If you live in a region with shorter summers, spend much of your day away from home, and/or just want to make sleeping temperatures more comfortable, a unit for the window or through the wall for targeted nighttime cooling might suit you very well. On the other hand, if you live where summers are hot and muggy and you plan on using that cooling power for several months to maintain a comfortable temperature around the clock, central air is your best bet. You can purchase a unit with best-in-class energy ratings, but if it has to work hard all the time, you will be disappointed in the savings. And before you know it, you'll be fixing or replacing your burned-out air conditioner much sooner than you'd like. On the other hand, a too-powerful unit will cool a room too quickly and won't have adequate time to remove all the humidity, leaving you with a damp room. The right size that can handle the right load will deliver optimal energy savings. To choose the right-powered air conditioner for your home, use this BTU calculator, which factors in room size, quality of insulation, and how much you need to lower the temperature in your indoor space. Once you know how many British Thermal Units (BTU's) you need in your home, the next step is to look for the Energy Star label. The rating is based on energy consumption and performance, as well as specifications provided by the Environmental Protection Agency, all with the goal of reducing energy usage. Many Energy Star rated appliances now come with smart features, allowing you to control it remotely with your smart phone or computer so you can monitor how much energy it has used. Save even more and choose one that is smart-grid ready. 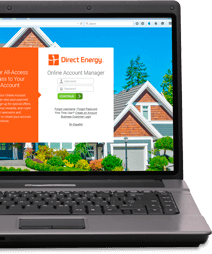 This allows you to participate in an energy-saving program that allows the utility company to remotely switch off your unit for brief periods during peak load times.